It's that time of year: thinking about what to do with any possible gardening space in my yard. I moved last summer from North Carolina, and a fairly large yard, to Colorado, where I have a very small one. Also, in North Carolina, planting season begins in about two weeks. In Colorado, it will be at least a month and a half. I've been told not to plant anything until after Mother's Day, and the end of May is probably safer. This year I'm trying something new to me: winter sowing. A friend turned me on to this when I was complaining about my drastically shortened growing season. Basically, you use containers, such as milk cartons, to create mini-greenhouses. You plant seeds in them, and then set them outside where they get sun and any precipitation that might fall. You water them when the soil is dry, and in theory, when it's actually time to plant them outside, you will have nice, cold-hardy seedlings. I planted broccoli and cauliflower, and I have some little sprouts! It's very exciting. Many moons ago, when I was leaving my job in Michigan to move to North Carolina with my husband, my boss's wife gave me a beautiful book about gardening: Bringing a Garden to Life . I remember loving this book. 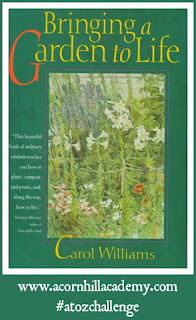 The author, Carol Williams, gently teaches the proper care and feeding of a garden, while sharing stories of her own garden and experiences. She paints a picture of the possibilities that exist in any space, no matter how small. She says one should plan, but not obsessively so (I appreciated this, because I am a terrible planner), and that it's probably worth waiting a full year with a new garden space before deciding what to plant, so that you can see what's already there. I...don't want to do that. Heh. I don't see much coming up this spring except a few daffodils in the raised bed. My current yard has a lot of overgrown bushes that need to be removed. The folks who owned this house before us were really nice people, but they were not terribly interested in gardening, I don't think. 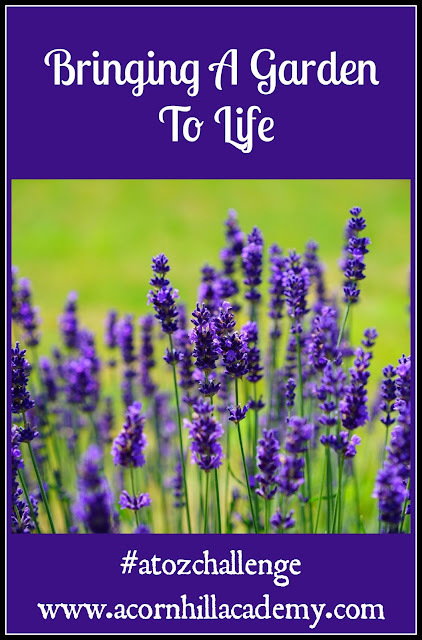 That's not a bad thing, actually, because it means I can plant lots and lots of things and not worry much about displacing anything potentially wonderful. She recommends writing poetry about your garden–not for anyone to read, only for your own notebook–because it helps you notice things. The book is dotted with illustrations by Newton H. Stubbing, and English painter. The pictures included were from his personal notebooks. How perfect. So much of this book seems new to me! I'm enjoying it in a whole new way, after gardening on my own for 20 years, learning to see nature in a new way thanks to Charlotte Mason, and probably (one can hope) a bit of maturity. I'm glad I found this book again. I have a lot of books about gardening, but this one brings me the most joy. She gives great instruction, and provides plenty of inspiration. 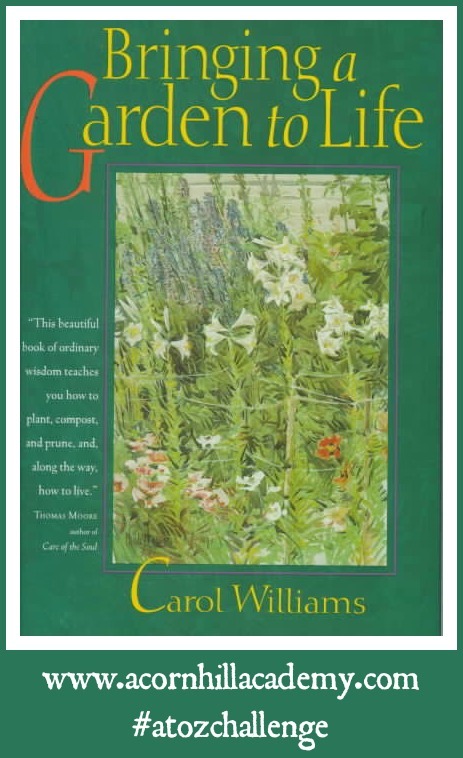 If I had to choose one book on gardening to keep, it would be this one. It's out of print, but the used prices are very reasonable. Perhaps you could find it at your library, even. If you're looking for some gardening inspiration, I hope you'll consider this book. I don't think you will be disappointed.